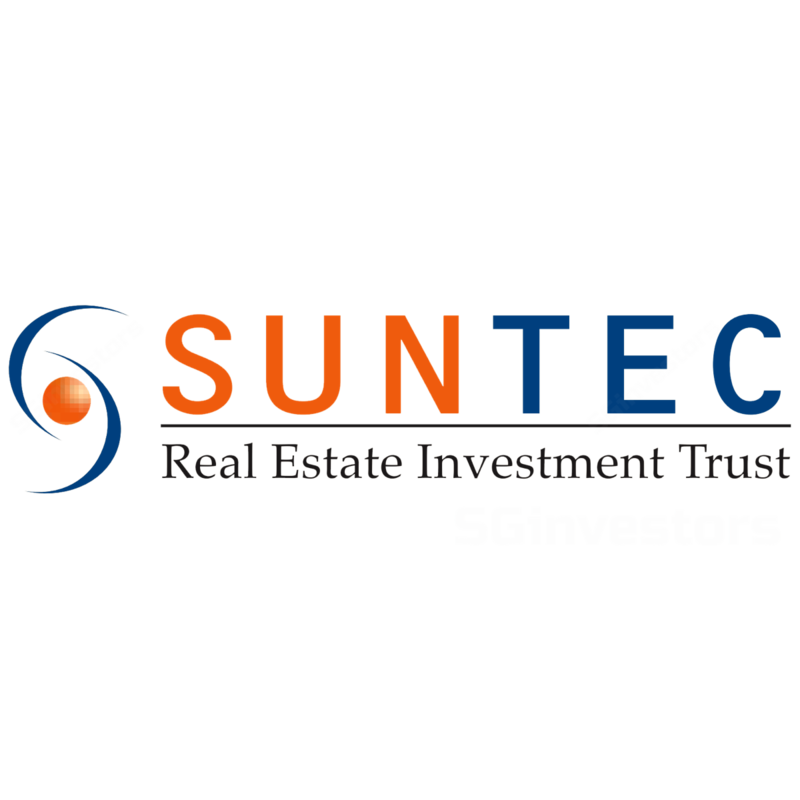 Suntec REIT’s results were in line with expectations. Suntec REIT’s 2Q18 income was driven by higher contributions from the convention and retail segments. Maintain HOLD with a lower target price of S$2.01. Entry price: S$1.83. Suntec REIT’s results in line with expectations, maintain HOLD with a lower target price of S$2.01 (required rate of return: 7.0%, terminal growth: 2.3%). 2Q18 headline DPU of 2.474 S cents was down marginally by 0.8% y-o-y. Excluding capital distributions, core DPU of 2.099 S cents was down by 4.2% y-o-y. 2Q18 top-line grew 3.7% y-o-y, mainly due to higher contributions from convention and retail, but partially offset by lower contributions from Suntec City office (as some of the committed leases will commence progressively in 2018). NPI also grew by 2.2% y-o-y, mainly due to higher contributions from Suntec Singapore (convention segment). The results came in line with expectations, with 1H18 DPU representing 49.5% of our full-year forecast. Office portfolio continues to see healthy occupancies. Suntec REIT’s overall office occupancy stabilised at 99.0% (1Q18: 99.1%). The Singapore office portfolio achieved an overall committed occupancy of 99.8%. The committed occupancies for Suntec City Office, One Raffles Quay and Marina Bay Financial Centre Properties were at 99.7%, 100% and 100% respectively. In Australia, the committed occupancies for 177 Pacific Highway and Southgate Complex (Office) were 100% and 92.7% respectively. About 187,000 sf of office NLA was leased in the quarter (1Q18: 89,000 sf) with 65% of the leases coming from new tenants. That leaves 5.1% balance of total NLA expiring in 2018. Grade A Core CBD rents continued to register 4.1% q-o-q growth, according to CBRE data. Due to the tight vacancies, landlords continued to press for higher rents. During the quarter, leasing demand is being led by tenants from coworking space operators, technology firms and, to a lesser extent, insurance companies. The upbeat outlook is also shared by spot rents at Suntec’s Singapore office portfolio, which saw average signing rents secured this quarter up at S$9.15 psf pm (+1.4% q-o-q). Suntec City Office saw expansion from existing tenants (mainly from Technology, Media and Telecommunications (TMT) and Real estate sectors), and new demand from co-working and consultancy. In the last 12 months, Suntec City Office saw growth of c.70,000 sf from the TMT sector. During the quarter, WeWork was also brought in to set up a co-working space in Suntec City Tower 5, which will take up 36,500 sf over two floors (and expected to commence operations in 4Q18). Suntec City Office S$1.6m AEI initiatives. Management also shared their plans to rejuvenate Suntec City Office, which will involve works to upgrade lift lobbies (ie replace with marble flooring and wall, raise ceiling height at level 1 lift lobbies and corridors) as well as washrooms at every level. The project is expected to commence in 4Q18 and is set to complete by end-21. After 12 quarters of decline, prime retail is increasing for the second consecutive quarter amidst a slower rate of 0.2% q-o-q. Retail rents at Orchard and Suburban stabilized at S$31.45 (flat q-o-q, +0.5% y-o-y) and S$29.10 (0.5% q-o-q, +1.0%yoy) respectively, according to CBRE data. Supply of another 0.91m sf and 1.07m sf in NLA are expected to come on stream in 2018 and 2019 respectively. Suntec REIT’s overall Singapore retail occupancy remained stable at 98.6% (flat q-o-q), while tenant retention down by 12ppt to 59%. About 179,000 sf of leases were signed during the quarter (1Q18: 61,000 sf) with 45% of the leases being new and replacements (up 17ppt q-o-q). As part of on-going efforts to enhance Suntec City Mall, management has been making active trade and tenant adjustments, such as rolling out c.29 new-to-market concepts since 2017. Repositioning of North Wing as a fitness and wellness zone. To augment the positioning of North Wing, management has secured a new tenant; which rejuvenate the space by bringing in a new-to-market and large scale concept. The new tenant will take- up 30,000 sf in NLA (ie beginning its operations in 4Q18); and mark its first foray into Southeast Asia. Since May 18, Suntec REIT has also commenced works at level 2 connecting the North Wing to the East Wing. Around 98% of the space has been pre-committed with most of the shops opening in Aug 18. Australia office market continues uptrend. The national office CBD occupancy increased to 99.1% (+0.5%qoq). Management guided that leasing activity continues to be positive in Sydney, North Shore and Melbourne, driven by the flight to quality and expansionary activities. Management also expects occupancy and rents to remain high, given limited supply and strong occupier demand. During the quarter, 177 Pacific Highway maintained 100% committed occupancy (flat q-o-q). The South Gate Complex also saw its occupancy improve to 92.7% (+0.2ppt q-o-q), and this will likely ramp up to 99.7% (additional 7.0% NLA under a Heads of Agreement signed). Gearing increased to 37.9% (vs 36.6%). On our estimates, Suntec REIT has available debt headroom of S$801m (assuming maximum gearing of 45%). Suntec REIT also has 65% of its borrowings on fixed rates, which will help hedge against rising interest rates. Projects under development include 9 Penang Road, Singapore (where the steel and structure works are in progress at level3) which is expected to complete by end-19, as well as Olderfleet, 477 Collins Street, Australia (with slab works in progress at level9) which is scheduled to complete by mid-20. Maintain HOLD with a lower target price of S$2.01. Our valuation is based on DDM (required rate of return: 7.0%, terminal growth: 2.3%). Entry price: S$1.83.